Yet another crewmember from the Enterprise-D is making his way to CBS All Access’ Jean-Luc Picard series. In a new interview with Trek Movie, Jonathan Frakes confirmed that he will be directing two episodes of the streaming service’s upcoming show featuring Patrick Stewart’s return as the beloved Starfleet captain. Frakes starred as Commander William T. Riker for all seven seasons of Star Trek: The Next Generation. He also reprised the role in four Star Trek feature films, two of which he directed himself. 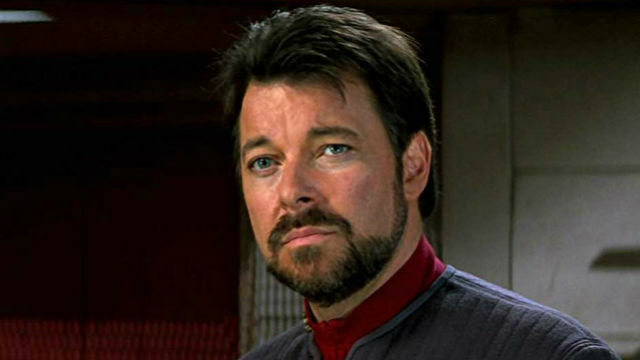 Frakes made his last appearance as Riker in the 2005 series finale of Star Trek: Enterprise. However, he’s remained attached to the Star Trek franchise. Most recently, he helmed several episodes of Star Trek: Discovery. Frakes explained that the Picard series’ inaugural 10-episode season is broken into five two-episode blocks. His episodes make up the season’s second block. He also assured fans that they’ll be pleased when the series arrives on CBS All Access later this year. Although he’s only joining the show in a behind-the-scenes capacity for now, it’s entirely possible that the series will present Frakes with the opportunity to don Riker’s Starfleet uniform once again. At the end of the character’s last theatrical outing in 2002’s Star Trek: Nemesis, Riker was given command of his own vessel, the USS Titan. It would certainly be interesting to see how Riker has fared as a captain for the last 17 years. What are your thoughts on Jonathan Frakes coming aboard the Picard series as a director? Give us your impressions in the the comment section below!